Yup, you read that right. We’re going to dredge up the dreaded ‘F’ word. Fraud. This has become somewhat of a slippery slope lately. While fraud has been around for as long as insurance has been available, it used to be something that ‘scammers’ did to get a huge pay-out. You know, like filing a false claim to get the cash. Admittedly, it took a lot of effort to fool insurance inspectors and the like, but the pay-out was (and still is) deemed worth the trouble. Now, though, more and more people are ’fessing up to the fact that they’d fudge the details even a little in order to make their insurance work for them… Little do they know that the consequences are just as serious as if you were to hide your car in your mate’s garage and claim for theft. We’re going to unpack familiar fraud stories, explain the consequences of committing insurance fraud, and reveal how insurers figure fraud out. You might be aware of the more obvious insurance scams. Like setting your house on fire and making it look like an accident so you can claim for the damage. But then there are more sophisticated fraudsters, like car owners who get the panelbeater to either add the excess amount to the bill or quote on more than the cost of the actual damages so they can pocket the cash together. But professional scammers aren’t the chaps we want to talk about. We want to highlight the fact that more people are telling little white lies to their insurers to make sure their claims are approved. Like saying you were going 50km/h when you were really going 65km/h. Or telling your insurer and the inspector that all the windows in your house were shut and locked when you left home for a trip and came home to find your TV gone, but the back bathroom window was wide open. Mostly, the reason why people lie about certain details is because of fear that their claim will be rejected. What they don’t realise is that if their insurer finds out about the lie, not only will their claim definitely be rejected, but they might also have their policy cancelled entirely. You’re paying for cover anyway, so it’s not like your pay-out is totally free. It’s a small detail and shouldn’t matter to the incident. You’re desperate, because without the insurance money, you’ll be financially stuck. Without the insurance pay-out you won’t be able to pay for school fees, buy a new car, replace household valuables, etc. Unfortunately, even if you only told a little fib to get your claim approved, all types of insurance fraud are treated quite seriously… No matter how harmless you thought the lie was. The first thing that will happen is that your entire claim will be rejected. Next, your policy will most likely be cancelled retrospectively, from the date on which the incident was reported, or from the actual incident date (whichever date is earlier). And you’ll probably struggle to find insurance elsewhere. Lastly, there’s a good chance that you’ll be held legally accountable to pay your insurer back for any expenses that they’ve paid out or incurred while they processed your claim. 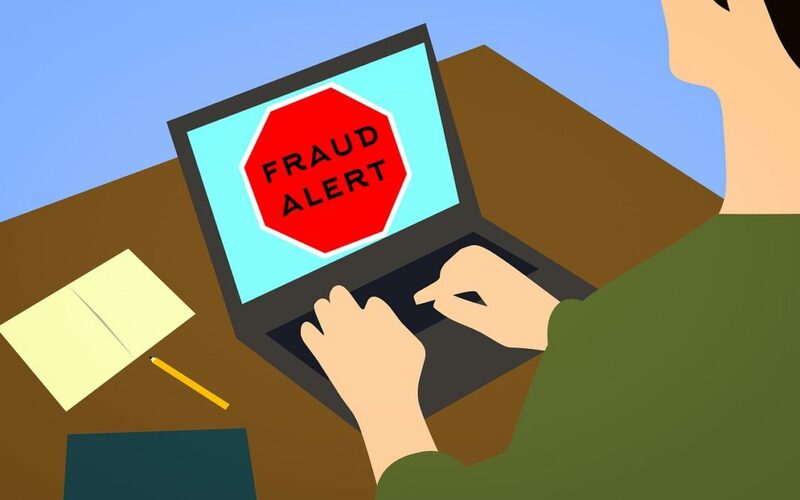 Now that insurance fraud has become a more serious problem in South Africa, many insurers have started investing in advanced forensic specialist security services to sniff out the scammers and avoid getting the wool pulled over their eyes. Insurance investigators perform a cross-check of the person claiming, looking for a pattern of pay-outs in their history and a pattern of claims being filed. They’ll pick up, for instance, if the claimant has received pay-outs under different names. Insurance investigators also use a list of ‘suspicious loss indicators’ to work out if fraud is afoot, including checking if the receipts are legit, if you increased your cover level before claiming, or assessing whether you appear super calm after a fire wiped out your whole business. If things seem a little fishy to the investigator, they’ll take a deeper look into your life, starting with examining your credit record and criminal record, following you to see if injuries or damage matches the police report and claim info, and even going through your social media accounts. If you get car and home insurance from an insurer that has a strong reputation for paying out claims, you’re less likely to feel anxious about claiming and therefore are less likely to lie during the claim process. King Price, for instance, is well-known in the industry for paying out claims and is frequently cited has having 1 of the lowest rejection rates. Moreover, they’re pretty good at explaining your policy to you (in plain English, which is helpful) so that all the right info is recorded and your cover is accurate. Their motto, incorrect details = incorrect cover, helps you maintain an honest approach to your insurance dealings. Whether you’re looking for car and home insurance for the first time or want to switch for super cheap comprehensive cover, start your journey today by clicking here for an commitment-free quote.